How many days a week do you practice yoga? Do you have a home practice? If you answered yes, how often and for how long do you practice meditation? If yes, how often and for how long do you practice pranayama? Is this your first training? Please list your yoga history, experience, styles practiced and previous training(s). 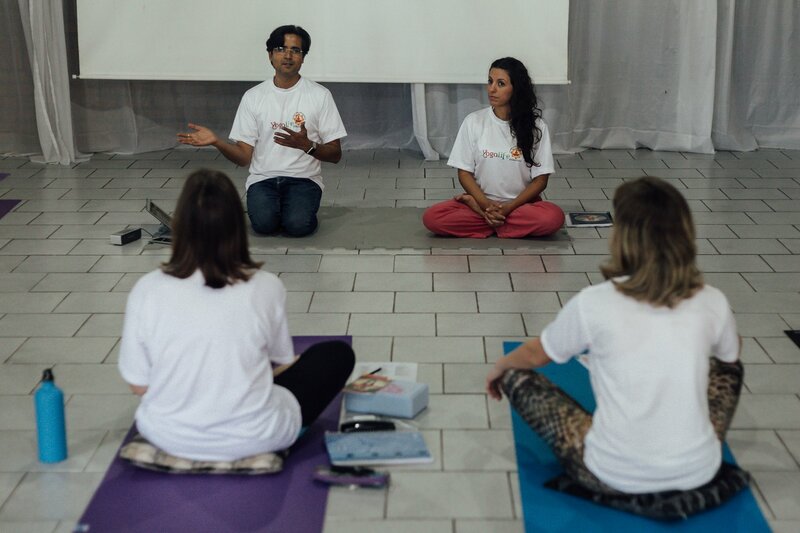 Why do you want to participate in the Yogalife Yoga Teacher Training Program? What are your expectations of this training? What do you hope to achieve upon completion of this program? To the best of my ability, I will adhere to the precepts of the yamas and niyamas, which include non- violence, truthfulness, and purity. I will conduct myself with integrity. I will present my qualifications honestly. I will always do my best to conduct myself in ways that honor my teachers and the seat of the teacher. I understand that Yogalife reserves the right to ask me to leave the program if my behavior is inappropriate or unethical. Under such circumstances. I understand that any payment I have made will not be refunded. I understand that all written Yogalife materials are under copyright protection and cannot be reproduced without the permission of the authors. Failure to comply may result in legal action. If we receive written cancellation 8 weeks prior to the training, your tuition may be transferred 1 time to a future session, with a $100 processing fee and must be used within 12 months of cancellation. If in any unavoidable circumstances Yogalife cancels the program, full refund is guaranteed. The undersigned by signing this agreement indicates that s/he understands the risks inherent in practicing Yoga and hereby assumes all risks incident to such activity and waives any claim or right of action against Yogalife India, their employees and agents for loss, expenses, liabilities, damages or legal fees incurred on account of any loss or injury to the undersigned or the undersigned’s property incurred in connection with and/or as a result of the undersigned’s attendance at classes, workshops and events conducted by Yogalife India, and or use of The Yogalife India facilities.